Wandering Thoughts: The Big Fat Punjabi Wedding!!! Welcome to the world of my Wandering Thoughts... Feel free to explore more! The Big Fat Punjabi Wedding!!! Of lately, we have had a whole lot of movie focusing on the Sardarji/Punjabi culture in sadda Bollywood. What with movies like Singgh is King, Rocket Singh, Oye Lucky Lucky Oye etc; the quintessential funny sardarji character of the erstwhile cinema has become a full blown protagonist of the movie itself. It is no longer so. Add to that directors like Gurinder Chaddha whose Hinglish movies like Bend it like Bekham, It’s a Wonderful Afterlife and others like Bride and Prejudice and Monsoon Wedding have also brought international focus on the meek, unpretentious community that is the Punjabis. And it’s not like it’s only in movies that the Punjabi culture is being focused upon. Books like Chetan Bhagat’s 2 states had an extensive focus on this Paneer-tucking-Jewellery-Obsessed community. And the attention is not always good. Look at Khushwant Singh… What kind of impression has he created of the entire community? Anybody who judges the community on the basis of Mr. Singh’s character would think of all the Punjabis as being constituted of perverted old men or Cougars. Which, coming to think of it, might not be all that far from the truth. But, being Indians, we always like to think of things in a non racist way (yah right!). Hence, this post is my attempt to give a brief description of the community and especially focus on the Punjabi Wedding. Wedding because I believe that the best place where you can observe any person or relationship or community is the way their weddings are conducted. 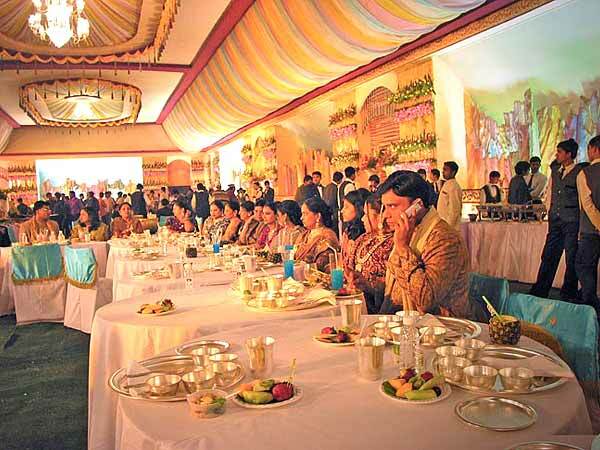 Nowhere else can you observe the typical of any community than in a wedding. At the very outset, let me clarify a very common confusion: Punjabi doesn’t mean the Sardarji community. It may, but not necessarily always. “Sardarji” AKA “Sikhs” is a religion whereas “Punjabi” is a culture which may also include non-sardarjis and cut-surds as well. It’s true that they love paneer and chicken. Infact they are what parmal and fish are to Bengalis; sambhar and coconut are to Tams and pav bhaji etc to Mumbaikars. It is, simply said, their staple food. And while sometimes they may get overboard with the whole obsession with the food thing, it is always in the best of intentions. Punjabis don’t feel that the airline food of rice daal or sandwiches comprise “food” unless it comprises of at least two paneer dishes, some paranthas, a curd based accompaniment, Chhole and Rice, and dessert of Halwa or something equally “filling”. People talk about jewellery in terms of sets that they have, sets of earrings, sometimes even silver jewellery (ewww). But that’s not how it’s done here. They don’t deal in just jewellery sets. They talk about kilos of Gold jewellery only. The least that they have to wear on any occasions, irrespective of gender, is a kilo of gold jewellery; at least half of which should “appear” to be genuine diamond studded. And they don’t spare any occasion from this criteria; being fair on that front. Even when they go for mourning, they always wear newly stitched clothes and a not so gaudy kilo of jewellery. And not only that, they also do a noble cause through this you know na. They provide an enormous employment opportunity to the thieves and burglars of the country who would have to indulge in petty pick pocketing, somehow passing their days. They give them an opportunity to lead a comfortable life by robbing one of our brethrens and spending the crore gained thus to spend life comfortably. They are strict believers of social networking. Irrespective of the occasion, they believe that the gathering of influential people should not be wasted and that all the discussions should be commenced whenever all the people have gathered, the long distance communication equipments like phone etc be damned. And no occasion is big or small enough for them. In fact, a whole lot of prospective matches are made while attending various mourning ceremonies. They don’t believe in doing things the way normal people would do. As one of the brand promotions mentions “Live Life. King Size”. Well they do certainly exemplify the brand promotion. They drive amongst the biggest cars available to the mankind. Courtesy M/s DLF, they have had crores with them and hence like to show it. 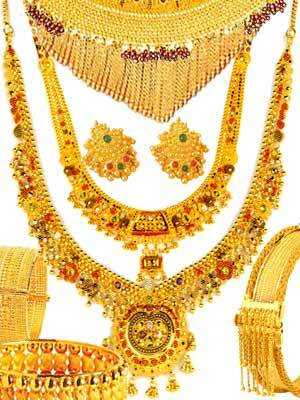 Be it through bigger mansions, tons of gold on every space of their body, gaudy sarees, or through their weddings. And any discussion has to be had around money. Be it real estate or job or diamond sets. The main subject matter doesn’t really matter and can be discussed intertwiningly as long as it is about money itself. 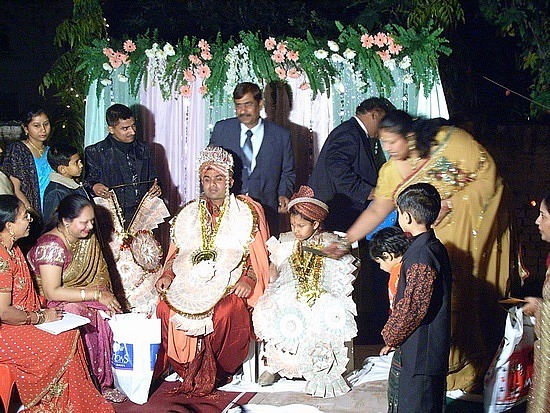 Which brings me to the main point of the posts… The Punjabi Weddings. Now there are like a gazillion ceremonies in a Punjabi Wedding. I will describe some of them in brief here and a special focus on the actual wedding towards the end. Roka – The first ceremony to ensure that the fickle nature of man and woman doesn’t kick into picture and either party doesn’t change their mind at any later stage. Though rings are not exchanged, the couple stand unofficially engaged after this ceremony. More binding than the debt covenants of the bank. True Story!!! Sagai – When the doomsday agreement is actually signed with the token rings being exchanged. Duration between Sagai and Actual wedding may vary on case to case basis depending on the ugliness quotient of either parties or the wishes of the parents. Needless to say the need to show off plays a big part in all the ceremonies as the venue, people invited, gifts and jewellery exchanged depends on that. Even the gap between wedding and Sagai might also depend on how eager you are to one-up your neighbor’s wedding. 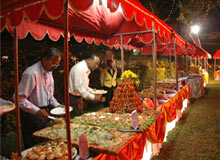 Sangeet – When the men and women of the family formally try and express their happiness on the wedding. Kind of like the rudali thing except it is done before wedding. For groom, the idea behind either does not differ. This is a function typically celebrated at both the parties – At the girl’s end for the prospective Bakra and at the boy’s end to welcome the prospective lifelong Fixed Deposit into the family. Of lately, some of the “progressive” families opt for live bands or a disc jockey to churn out one dance track after another as guests shake a leg on the floor. That doesn’t make it any less painful to watch the multiple tires on the “khaate peete ghar ki aunty” gyrating on the floor or the drunken uncle trying to do bhangra on a Michael Jackson number. Just a word of caution for the faint hearted: It is entirely normal if there are sudden bursts of high pitched noise. It is not some ultra high frequency generator, just some over enthusiastic people having decided that the party was a tad bit too quiet for their taste. Also, people have been known to be spontaneously struck by a desire to sing and dance at random numbers without any rhyme or reason. But that’s entirely normal as well. Cocktail – I am not really sure but I don’t think that in any other community or culture would you find a complete occasion devoted to drinking whisky and scotch, the two favorites of most of the “drinking” Punjabis. But then they don’t things the way normally people would do, do they? 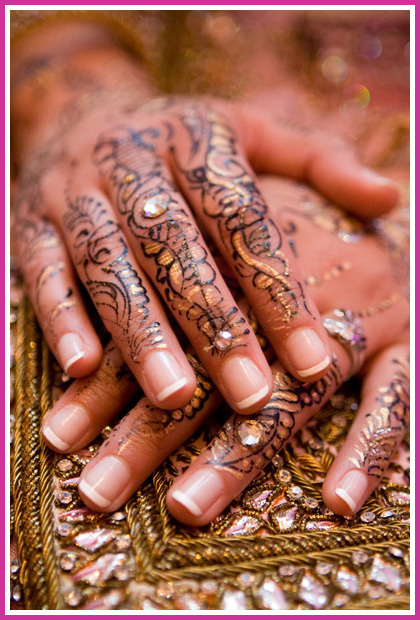 Mehendi – The last major function before the wedding is the mehendi. Mehendiwallis are called to the respective houses of the boy and girl and they apply mehendi to the palms of the female family members, and the hands and feet of the bride. In some cultures, both boys and girls both have to undergo this ritual; but in Punjabi weddings, it is only the girls who take the cake… Well not literally as their mehendi hands doesn’t permit them to do anything and it is up to the lesser mortals to feed them etc. and everybody want these mehendiwallas to apply a coat or two their claws. It doesn’t matter how hideous the design is or how long they have to wait for the mehendiwalla to get to their hand as long as A) The Family of Bride/Groom ahs spent a lot of MONEY in the process and B) The family insists each and every women present in the household, personally and regardless of their age, to get the hands mehendi-fied. At The Venue – Well at the venue, just imagine that Karan Johar and Suraj Badjatya had a competition to see who can arrange a better wedding, with most people, most food stalls, most activities, hubbub and activity and a lot of gyrating tyre-studded aunties and piss-drunk uncles. Now multiply it by ten times. Only then can you begin to imagine how a Punjabi wedding looks like. Walking into a Punjabi Wedding is like walking into a multi cultural fair with billions of people, all jostling with each other for space. That’s not to say that the space is less. It just means that so many more people were invited to it. If there were a FaceBook equivalent of a Punjabi Wedding, the minimum friends that anyone would have would be at least in four digits. You see it is an obsession with typical Punjabis to show off as much as they can on such occasions. Hence, even if they will travel by a DTC bus or normal days, they will hire a driver for this day just to make sure that their Biradari (Community) sees that they do have a driver. While on the other days, they will adorn glass bangles and cotton suits or Sarees with fake LV or D&G bags from Karol Bagh Market; the wedding days will force them to bring out the best of their Kundan and Diamond sets and the Kanivaram Sarees or Crepe suits with matching fake LV or D&G bags from Khan Market. Next thing to be focused upon is the sheer number of bright clothes. While ordinary people like you and me would shirk from wearing a fluorescent pink trouser or a Technicolor shirt. But not these folks. No sir. They will wear those monstrosities like they actually believe that it’s something which might pass off as wearable and that they are able to pull it off. But that’s not the only thing. If a non-Punjabi is invited to a Punjabi wedding, he/she will look through their wardrobe and see what’s worth wearing and get it ironed and starched (If at all). Punjabis, on the other hand, will plan for their Biradari wedding the same way one prepares for a major project. Of course, they can’t wear the old clothes because oh my god what would the biradari say? They will buy new clothes for all the above mentioned different occasions. And of course all the clothes have to be in different color, different designs and in all should combine all the possible cultural variations possible. And it’s not just the women who are so fanatic about wearing new clothes. The men of this tribe are equally finicky about only wearing new clothes on such occasions. Also, these weddings are like a heaven for thieves and goons. If a normal human thinks of heaven as golden gates and playing harps and muses running around; a goon would be thinking about Punjabi Wedding aunties wearing diamond studded DeBeers jewellery and uncles wearing local jeweler brand bracelets, with fat wallets and even fatter bundle of credit cards and debit cards, Gautier and Rolexes being flashed around. Another word of caution, never, ever talk to a Punjabi about wealth and status and such things. They have an experience of obsessing with the same day in and day out and that’s not something that an average Joe like you and me can beat. I mean all their lives revolve around these issues. If the neighbor Mr. & Mrs. Arora have kept a Labrador in their home, how can Mrs. Chopra not have at least two Labradors at their home. Doesn’t matter if the husband doesn’t get his clothes ironed, but Mrs. Arora and Mrs. Chopra must have a faceoff between them every night while walking their dog(s). Doesn’t matter if the husband has to cook the food, the dog must be fed “pedigree”. And of course the neighbors would constantly complain to each other about how much the pet is costing them for upkeep. But appearances must always be maintained. Because, you see, at the end of it all; everything boils down to showing off the wealth and how much they spend. Did you just foolishly tell some Punjabi about your son getting a new job? Silly you! Now you must be ready for the follow-up question of how much money does he get. And regardless of what salary or profile you say, the opponent would already have a cousin who gets better money than that for a better profile. The wedding would typically be carried out in a fashion which would shame even the IPL organizers. This wedding has everything just short of mini-skirt wearing cheerleaders. Though, I am told, that some people are already thinking on that line to provide that extra entertainment to their guests. I hope that I have been able to share even a fraction of what is truly a delightful community. Regardless of what all I have said, most of the Punjabis are indeed loud, warm people who know how to enjoy their hearts out. And I also hope that, to the uninitiated, this column has been able to introduce them a little bit about a culture which is present not only in India or in Second India (Read Canada), but across the entire world, in whatever form and growing… Fast. Go Punjabis, Go. PS: Even though on the basis of family, I am from Himachal. But I guess that having lived all my life in Delhi, I am pretty much wetted in the Punjabi culture. So much so that, bad though I am at it, I confuse Punjabi-speak with Himachali-speak, much to everybody’s amusement. Not mine though. PPS: All this talk about weddings and all because I am going through that age segment of my life when every other person, hell every person, you meet enquires you about your wedding plans. Hence, try as you might, this would be one subject which would never be too far from your thoughts. And just like normal curve, these queries tend to peak around 24-28 years for a typical Indian male. As fat in this fire is the fact that classmates are marrying left and right and with some of classmates introducing you their children as “Beta uncle ko Namaste bolo!” and sharing antics of their two year toddler drooling all over the floor. PPPS: An interesting link here. Good one man. I haven't been much to Punjabi weddings but i can now imagine !! Punjabis Rock !!!. . i ve been born n brought up as a Punjabi , but this is the second most interesting description i ve ever read about Punjabi's. The first one was in Chetan Bhagat's Two States. Sood Saab. . chha gaye tussi. . !! @Uma: Welcome to my world of Wandering Thoughts. Feel free to explore more... And I am glad that I am able to contribute, whatever amount, to the general knowledge. A one stop shop for an insight into A BIG FAT Punjabi Wedding!!! Excellent Post!! @Priya: Plans going on... Book Jan'11 in ur calendar... so mood not right these days? And you did not write whether u liked the post or not? Thank you so much for this post...I just recently attended a Punjabi wedding (I happen to be from south India) and I had a cultural shock going through the entire affair! Your post explains it all. Everything in this marriage was about the "bling, bling" and even though I'd taken efforts to match the women who had attended, I fell short in the jewellery, clothing and make-up departments. What a far cry from (most) south Indian weddings.. I found the Punjabi wedding to be full of superficiality and too little of genuine feelings. Too much pomp and too little of sentiment or genuineness. Two thumbs down. What an awesome blog! You've taught me significant information about Punjabi weddings from this article. I appreciate you for taking the effort to extend this topic so comprehensively. I look forward to learning more on your upcoming posts. Thanks. @Olivia: Welcome to the world of my Wandering Thoughts... Feel free to explore more... I am glad that I was able to provide you with an insight into the Punjabi culture and Weddings especially... I, too, look forward to having you here and sharing more on thoughts on other posts! I saw the movie "Mujhse Dosti Karoge!" which illustrates their culture which is nearly similar to this. But i think yours is far more interesting. @Jack: Welcome to the world of my Wandering Thoughts... Feel free to explore more... I am glad that you liked the post and that I was able to shed some light on the Indian culture for you! You know it is indeed very good feeling when other person says that I normally do not do this but your post made me... Anyhow, I hope to see more of you as I saw your posts also comprise of similar subtle humour, with a slight fluster of the various things happening around you! @Tampa, Picass: Welcome to the world of my Wandering Thoughts... Feel free to explore more... 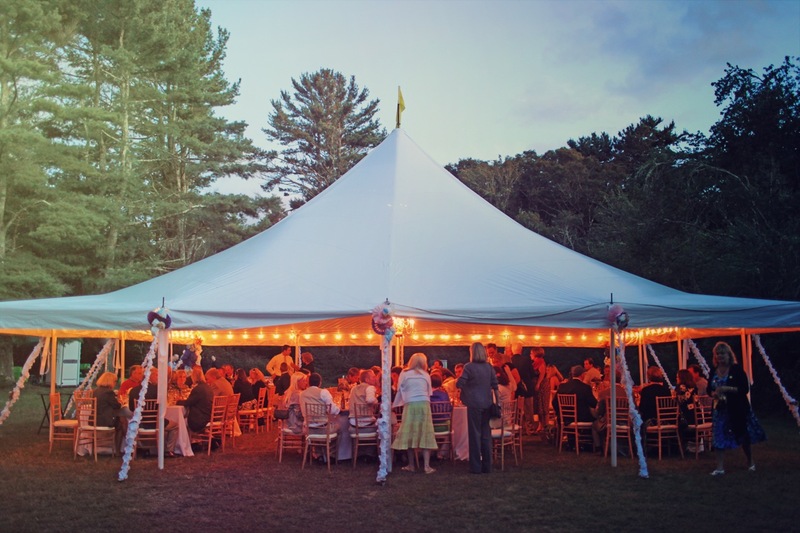 The wedding, of course, was great... but this post is more of all including reference and i have not actually been through all the events at one wedding but more of a compilation of what I have observed across different sets. I hope I have been able to provide with an insight into the Indian culture. Look forward to having you here in the future! and I am sure that all cultures have their own set of idiosyncracies... and a similar post can be made about each and every one of them. Look forward to having you as a regular in the future! Thank you for the inserting description of the Punjabi culture. I really enjoyed to read this post. I really like your way of putting things. very well narrated. the part on golgappa stand,gave a witty touch. excellant. ***** I sincerely rate it 5 stars. @Mr. Showman: Look forward to having you here in the future. @Pradeepti: Must confess that 2 states was a factor which instigated me to write this post.. I am really glad that you liked it! @Pramodji: The golgappa stand thing was not original to me, as stated in the post, but I felt that would be a nice addition to this article, intended at humouristic touch to the scenario!!! @Ballroom: You have no idea dude! But I hope that I have initiated you into the Indian wedding culture a little bit! Nice post, liked it. What is more worrisome is that these 'Big Fat Punjabified Wedding' are becoming a pan-Indian phenomenon, thanks to Bollywood and its obsession for marriage. i have read the above article and dont agree to the way it has been portrayed. For me Punjabis are very joyful n lively people thats the reasons colours play an important role in their lives that too gaudy ones and not coilours that are black or white. Also in Punjabis the way cermonies are carried out differs from family to family based on how much pennies you have i your pocket , which applies to all communities acroos the country. You would probabbly faint if you see a mallu wedding.With no offence i have seen some typical himachal wedding where all the above applies to them as well.You have failed to correctly potray the real Punjabi culture maybe u need to do a little bit more research. I have personally been to lot of Punjabi wedding which only had fun joy warmth and love.....and old people have a right to live life till the end there is no restriction as such defined by law which they need to abide. good luck for your next article. 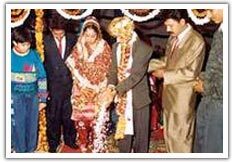 All said about punjabis wedding is what actually happens all around the north indian states. Mr. Sood ....wedding in your community are typical reflection of the so called Punjabi weddings nothing different. Please change the title of the blog or dont write something which you really dont know well. Secondly; why to post anonymously... its not like i will online harm you or anything... Let us atleast put a name to that 'Anonymous' tag. Thirdly; I never said that the gaudiness etc is the only aspect. If you read the post completely, you will realize that I also concede that these weddings are amongst the warmest weddings around. The people are genuinely warm and Happy and they express that by being loud and gaudy... and this is not really a comparison of different wedding styles... just the way one community conducts their weddings... There could be a whole new post, an even longer one, on that! @Rajan: A big welcome to the world of my Wandering Thoughts... feel free to explore more... True that the same happens in all the communities but it is louder, better and warmer in Punjabis... and thats the way it is... when you think about loud weddings, Punjabi weddings come to the mind and not Haryanvi or Rajanthani or Himachali... I guess I have been able to get through... Ad far as title is concerned, I think that all these being MY thoughts at random, the title is suitably apt... dont you think? well described the extravaganza for uninitiated. @Hemant: Welcome to the world or my Wandering Thoughts... Feel free to explore more... And I do hope that you have been able to get a glimpse into the warmth of a Punjabi Wedding! thanks for blog, and an interesting insight into Punjabi culture. @Bhupenderji: Welcome to the world of my Wandering Thoughts... Feel free to explore more... And I do hope that you enjoyed the description! wow! that was a humorous and comprehensive dealing of Punjabi weddings! boy, can i relate to the part about being hounded by "when will you marry" questions. i don't think i have it in me to go through a punjabi wedding! @Pankaj: Welcome to the world of my Wandering Thoughts... Feel free to explore more... And I do hope that you enjoyed the description! Look forward to having you back for more! Despite all said and done, I enjoy such weddings, not because of vulgar display of wealth, but because of the sheer liveliness in the atmosphere! Nice blog but 1 thing I wanna correct though it doesnt carry much importance in the whole blog.and I read in so many ther places .but coconut and sambhar doesnt carry importance to all SOUTHIES they are imp for only TAMILIANS..aleast they are not imp for HYDERABADIS ...who unfortunately are taken for granted as whole southies...Apart from this very nice peek into the whole culture. First off I wanted to say cheers on taking the time to write up such a long post. Yet at the same time with some regret Id like to point to a few "blunders" you made in your post. Being a Indo-Canadian Sikh and owning one of the oldest and most successful Banquet halls on the west coast of North America, has given me years of experience dealing with more weddings then most people would ever get to see in their lives. In the start of your article you begin to describe sardar jis as they are portrayed by bollywood, to this day very few bollywood movies have portrayed them as figures who are more then a joke. Using a movie to describe a culture is sadly miss informing for your audience, and generates a view point which is wholly dependent upon a bollywood filter, which is created to make money not to portray factual events. Now, sikhism and Punjabi is another topic which you seemed to have confused ;P, Punjabis are people who hail from the region in Northern India and Southern Pakistan, Now punjabis range from Hindus, Sikhs, Muslims, and Christians. So that culture is going to be totally different from the religious one (This is a common mistake as many people do not realize it themselves.) Sikhism preaches totally different cultural values then Punjabi culture. This should be kept in mind. Now to the actual wedding it self, I have obviously had weddings from all religions, (even Jamaican weddings) and let me tell you, its not just sikhs who spend a lot of money on the weddings. Hindus and Muslims are not behind, each race is the same. My 10 years of experience has helped me gain insight into how important weddings are for everyone regardless of race, class, and gender. A wedding is considered one of the most important days of a person life and who would want to fall short on a day like this. Your post is flawed because your insight has been twisted by a bollywood filter and untrue cultural biases. To give you an example, if you watch the TV show called "Rich bride, Poor Bride" A show basically about how women want there wedding and it tracks how much people spend. Now if you take the amount of money people spend and convert it to Rupees it is a lot more then many people spend in India. Good luck on your future endeavors and I hope you will be able to do more research and find out truths rather then using cultural biases and fact-less points to write an article! If you wish for a full detailed you or anyone else can PM me any time and I can give you a full account of how the punjabi,hindu,muslim, and Sikh weddings truly look like rather then a painting a confused and false image, that makes it seem as though you dont really know what your talking about. Better luck next time ! @Laxmiji: Welcome to the world of my Wandering Thoughts... Feel free to explore more! as for the error... mistake accepted and accordingly rectified! @My truly :D: Welcome to the world of my Wandering Thoughts... Feel free to explore more! As for the "blunders", if you read through the post carefully, the first two paragraphs actually aim at deconstructing the image created my bolllywood and any such popular media! The first bullet point clearly states how "Punjabi" is different than "Sikhs" and is definitely not misunderstood! So, I must admit that while I have not been to Jamaican weddings, I have been to several "Punjabi wedddings" and my description for the same has been based on them... Look forward to having you back for more! @Yours truly: I do not know why did you post that comment or for that matter why you removed it... But I am glad that you did realize the futility of that comment! It's Very Nice post and also image. I liked it. A wonderful picture you have sketched here of your local wedding ceremony. Thanks man for interesting post! I like very much the cultural functions, your presentations is also a unique and interesting. Thanks for your efforts to provide us so nice post. 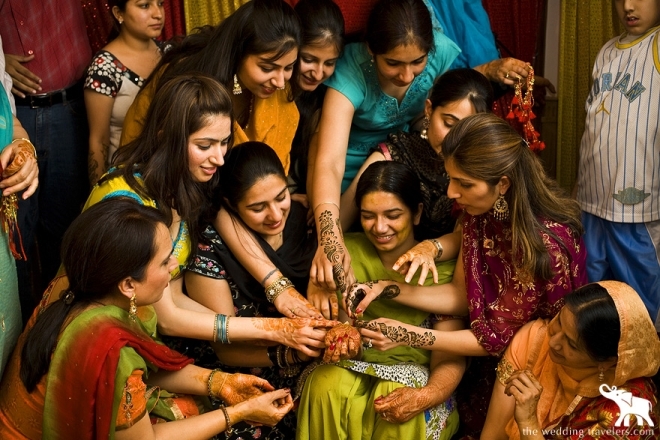 All wedding ceremonies of different cultures are full of enjoyments, one of them you have briefed here about Punjabies' weddings is also a nice occasion. Thanks. Nice one Ashish Ji! I'm at work now, have no time to go into a detailed appreciation. By the way, I work for a bilingual (English/Punjabi) newspaper in Canada. Can I publish your article in the newspaper? It makes an interesting reading for Punjabi NRIs. @AP Kaur: Welcome to the world of my Wandering Thoughts... Feel free to explore more! Absolutely no issues with you publishing the article in your paper. 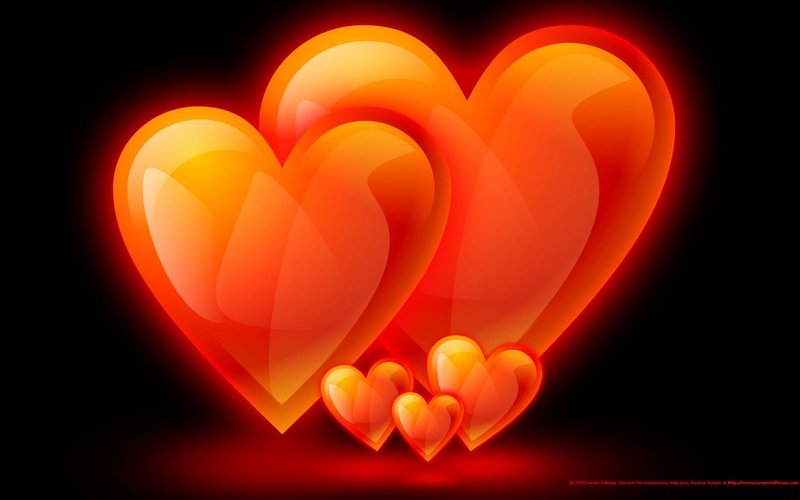 @Noor-ul-Ain Hanif: I am glad you liked the post!!! well so it does.. Glad you like the post!!! I am on a self discovery mode, on the steep incline up the learning curve. At one moment I might be brilliantly insightful. On some others I might be as sharp as the bluntest blade you could get.I would like to think of myself as a helpful, dependable person who tries to give his best in whatever he does. I believe that I am the kind of person who, however busy he may be, still likes to take some time out for his family and friends. There are a lot of things about me that I don’t like and some that others don’t. But all in all, they are a part of who I am and I have to accept them. Indian Education - Boon or Bane? Good wins over bad. Or does it?